The purpose of this study was to assess effects of three different educational intervention arms on knowledge of and intention to receive Pap testing and HPV co-testing. Three active educational intervention arms were developed: a fotonovela, a radionovela, and a digital story. 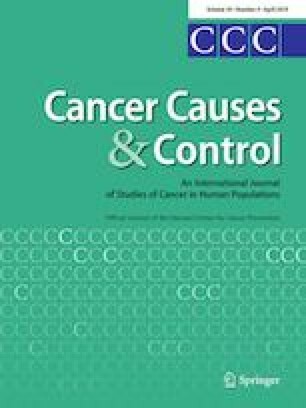 A pilot randomized controlled trial of 160 Latinas was conducted to assess the effectiveness of the intervention arms in increasing knowledge of cervical cancer and HPV and intention to be screened for cervical cancer compared to an attention control group (flu vaccination). Women in all three treatment arms significantly increased knowledge about cervical cancer compared to control arm (p = 0.02). Knowledge about cervical cancer screening also increased in the active arms compared to control (p = 0.0003). Knowledge of HPV risk also increased relative to the control (p = 0.0001). There were no significant differences between the intervention arms in increased knowledge of cervical cancer or cervical cancer screening (p = 0.57 and 0.16, respectively). This study supported the use of small media interventions in narrative education form as effective in increasing knowledge and intention to be screened for cervical cancer. The three culturally relevant interventions, built on qualitative data, were all successful in increasing knowledge. We are grateful to all the providers and community women who participated in this research project. We would also like to thank all the staff at the Center for Community Health Promotion. This project was supported by Grant Numbers 3U54CA153502, 3U54CA153502-05S1, U54 CA132381, and U54 CA132383 from the National Cancer Institute (NCI) and the Institute of Translational Health Science Grant (UL1 RR025014) from the National Center for Research Resources (NCRR) at the National Institutes of Health (NIH). The content is solely the responsibility of the authors and does not necessarily represent the official views of the NCI, NCRR, or the NIH. BT was responsible for the overall conceptualization, funding acquisition, methodology, and writing of the manuscript. WEB contributed to the formal analysis, supervision, and writing of the manuscript. KJB contributed to conceptualization, funding acquisition, methodology, and writing of the manuscript. EK contributed to the formal analysis, the visualization, and the writing of the manuscript. EC contributed to the conceptualization, methodology, project administration, and supervision of the manuscript. NEG and VJG involved with conceptualization, data curation, validation, and investigation of the manuscript.